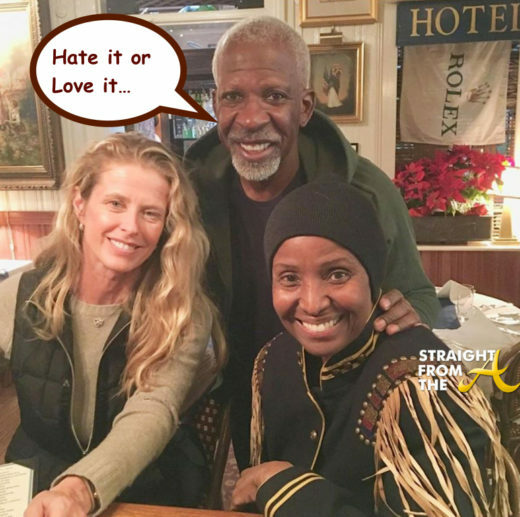 Former lifestyle guru B. Smith’s husband Dan Gasby is clapping back at critics of his love life. Gasby and his wife ran a successful media empire centered around her talents until she was diagnosed with early onset Alzheimer’s in 2013. To deal with the increasing stresses associated with caring for his wife, Gasby eventually found companionship in another woman. He even moved his new ‘soul mate’ into the home he shares with his wife and daughter and the trio has attempted to paint a loving picture of they care for Smith in her diminished capacity. Many have angrily expressed their outrage about what they feel is Gasby’s lack of loyalty on social media and now, he’s clapping back!